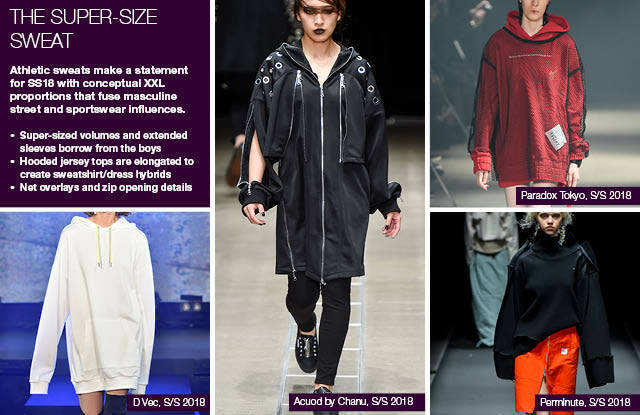 Trendstop’s catwalk experts bring you an exclusive look at the essential apparel trends and silhouettes direct from the Tokyo runways. 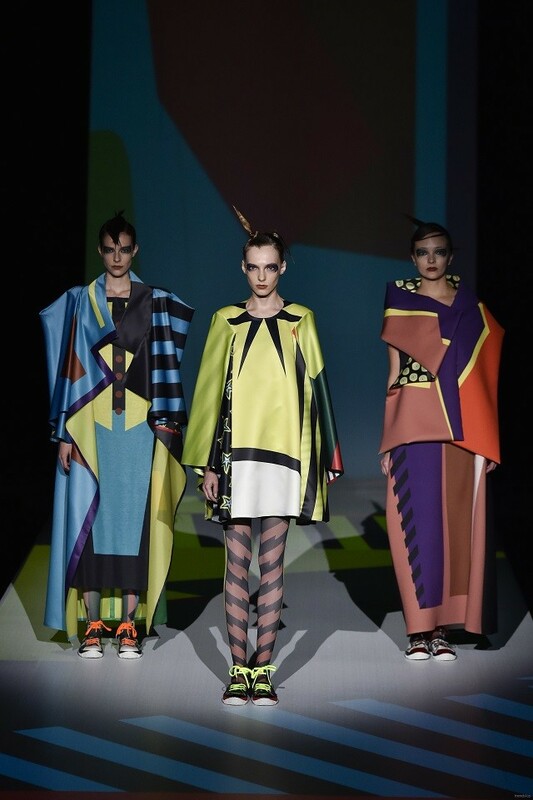 Located at the city’s iconic Shibuya Hikare and Omotesando Hills fashion complexes, this biannual event featured a host of young home-grown talent as well as 50 global brands. At Meiji’s Memorial Picture Gallery, a range of collaborative pieces from Sacai and Undercover culminated in a joint catwalk show that combined both designer’s streetwear and hybrid fashion aesthetics. This week, Trendstop present an exclusive look at three apparel trends from Tokyo Fashion Week that will be impacting into SS18 and beyond. 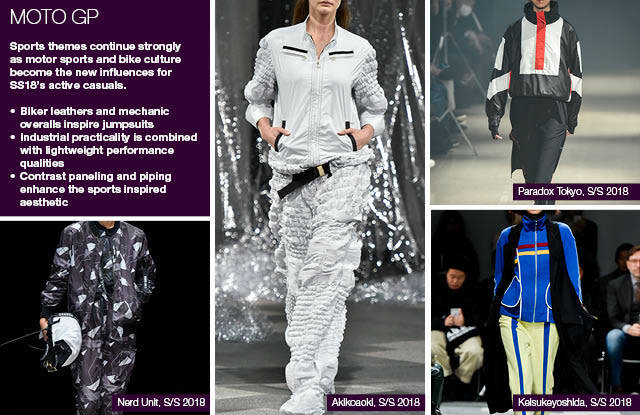 The Super-Size Sweat follows the ongoing sports-meets-street trend with oversized proportions revamping an athleisure staple while Moto GP unites racing track and runway with its fashion-forward nod to the professional motorbike racer. 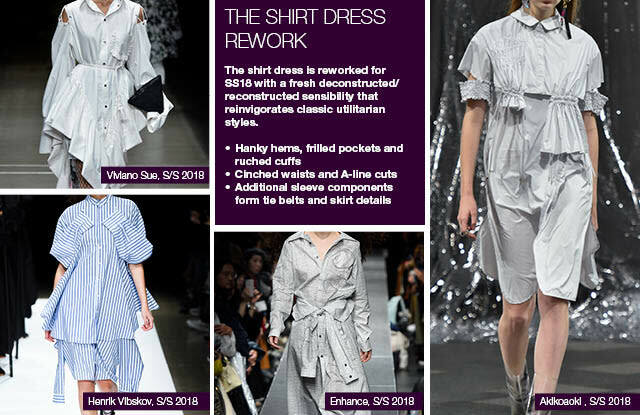 The Shirt Dress Rework introduces a chic, contemporary take on deconstruction with a renewed emphasis on wearability and femininity. Image courtesy of Trendstop. Hiroko Koshino S/S 2018 collection. Athletic sweats make a statement for SS18 with conceptual XXL proportions that fuse masculine street and sportswear influences. The shirt dress is reworked for SS18 with a fresh deconstructed/reconstructed sensibility that reinvigorates classic utilitarian styles. Sports themes continue strongly as motor sports and bike culture become the new influences for SS18’s active casuals. WeConnectFashion readers can get FREE ACCESS to Trendstop’s Fall Winter 2017 -18 Apparel on the Catwalks, an essential guide to the international catwalk season’s key silhouettes and styles. Simply click here to receive your complimentary report. Simply click here, to receive your free report.